This is a quite inspiring book on how the United States’ first Black First Lady has shown the way for Black women all across the country. The Latina writer, Veronica Chambers, has got 16 other writers (including a chef and a jazz musician) to explain how Michelle Obama has changed their lives. She came to the White House from a background in the poor part of Chicago. 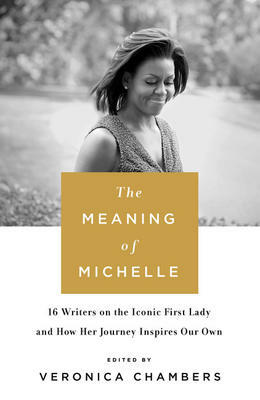 Her story is now well-known: her successful law career and marriage to Barack Obama who went on to become President. Michelle’s quiet determination to open the world to Black women has made a huge difference to how these women see themselves in a country where race still remains a powder keg. In this collection, Veronica Chambers shows how Michelle’s sense of humour and confidence has lifted up other Black women who want to be just as comfortable in their own skin. There is a line of thankfulness that runs through the anthology. She even quotes a famous Black writer, James Baldwin, who wrote: “your crown has been bought and paid for. All you have to do is wear it.” This book shows how.